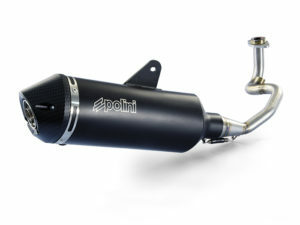 POLINI EVOLUTION: MUFFLERS FOR 50CC MOTORCYCLES. 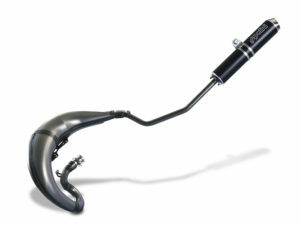 Polini Motori has designed 2 new Evolution exhaust systems for 50cc 2stroke motorcycles. One model is specific for the street bikes by Aprilia, Derby, Rieju and Yamaha while the other model is for the motard or enduro motorcycles by Beta, Derbi, Rieju and Yamaha. 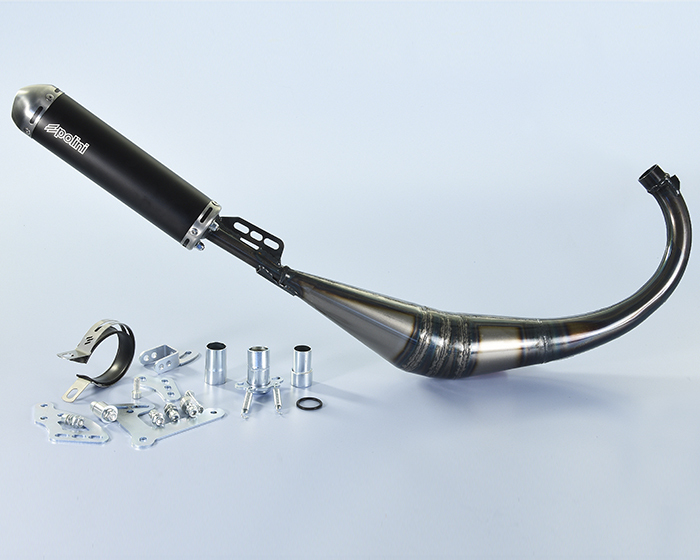 Main feature of the Evolution mufflers is the lower-fitting that lets exploit the dimensions of the expansion cones to achieve the best performance both on the 50cc original engines and 80cc tuned engines for race use. 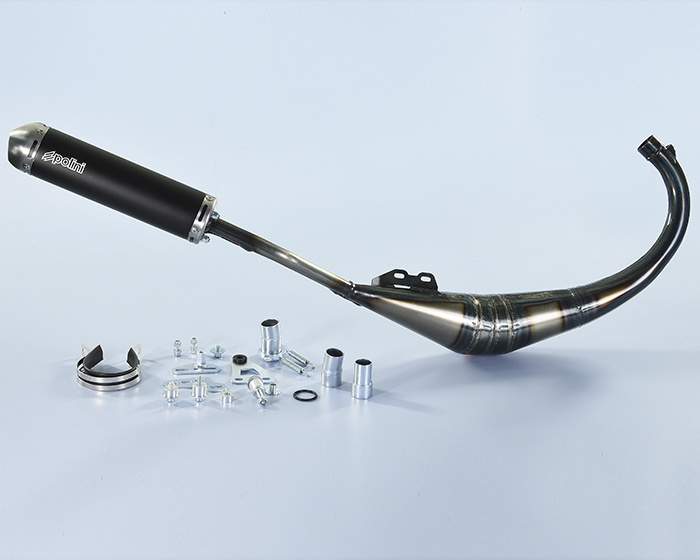 The end silencer is made of black anodized aluminum. In the packaging of the muffler there is a complete set of screws and fixing brackets for an easier installation according to the different frames models.